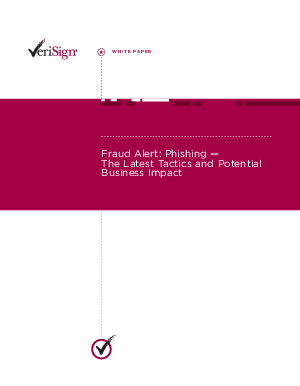 The potential impact of phishing can be costly for a business - whether an employee or its customers have been attacked or the company Web site has been compromised. Organizations need to stay current on the latest methods employed by cyber-criminals and take steps to prevent this type of fraud. Read about the current trends in phishing schemes, the impact on companies, and get insight into how you can apply technology to protect yourself and your customers.